Joseph Patrick Carrol Naish was born in New York City to Catherine Moran and Patrick Sarsfield Naish on January 21, 1896. Before becoming an actor in films, Naish appeared in stage productions for a number of years as a member of Gus Edwards' vaudeville troupe of child performers. At the age of 16, dropping out of school, Naish joined the Army Signal Corps during World War I. Following the war, he performed as a singer and dancer in Paris, later taking his act to far-flung corners of the world. It was during these travels in 1926 that Naish, whose plans to sail to China were scuttled due to his ship having mechanical troubles, found himself "stranded" in California. It was there that J. Carrol Naish's long film career was to begin. Appearing in more than two hundred movies, his first appearance in a motion picture was the silent What Price Glory (1926). On two occasions twenty years later, Naish was nominated for Academy Awards for Best Supporting Actor. His first such nomination was for his work in Sahara (1943) and, two years later, he was similarly considered for his role in A Medal for Benny which did earn him a Golden Globe Award in the same category. J. Carrol Naish, although of Irish descent, played numerous ethnic roles during his long, varied career in films, television, and on the radio. (Ironically, he was never cast as an Irish character!) 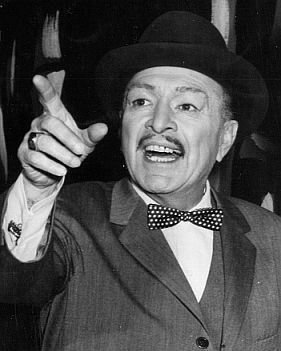 From 1948 until 1953 Naish starred in the hit radio comedy-drama Life With Luigi, playing an Italian immigrant named Luigi Basco. During the 1950s, Naish's career turned primarily to the medium of television. It was during this period, certainly owing to his success in playing a variety of ethnic characters, that he was selected to portray none other than Charlie Chan. Interestingly, J. Carrol Naish had, twenty years earlier, played opposite Warner Oland in Charlie Chan at the Circus as the villainous Gangor the snake charmer. In this new series, produced independently by Television Programs of America, Incorporated, Naish would be teamed for most of the 39 episodes with James Hong, who became Chan's Number One Son, Barry. The New Adventures of Charlie Chan was an Anglo-American co-production with all but the first five episodes being made in Europe. Of interest here is the fact that, less than ten years earlier, Monogram Pictures had had similar plans to shoot Charlie Chan pictures on location in Europe, plans which abruptly ended when monies set aside in British funds for the project evaporated due to the devaluation of the currency, thus ending the series. In this new series, Charlie Chan was retired from official police work. Now, he and his son, Barry, would be on a lengthy "vacation" during which they would either find themselves thrust into cases or helping friends of the detective or others who, facing varying levels of desperation, requested Chan's assistance. These cases, nearly all centering on murder and surrounding intrigue, were a series of fast-paced adventures fit into a short 26-minute format, and with a budget that probably approximated that of their Monogram Pictures predecessors. With the completion of one season's shooting, and being shown on television in Britain (1957-58) and the United States (1958-59), as well as in Canada and possibly in other English-speaking countries during the late '50s and beyond, Charlie Chan’s "Indian summer" of new adventures, came to an end. The detective's long, storied career was finally over. In a manner possibly befitting the final summers of Charlie Chan's life, J. Carrol Naish would live on until January 24, 1973, spending much of his last years in the picturesque San Diego, California beach community of La Jolla studying philosophy and theology.